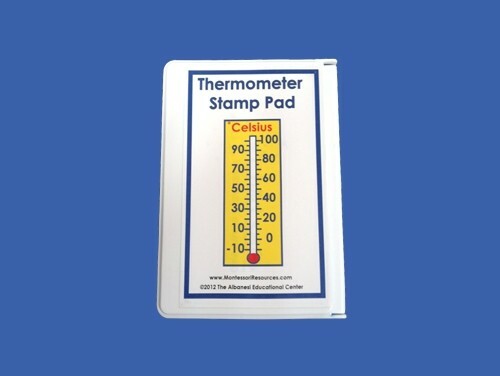 This ink pad corresponds in size to the Degrees Celsius Stamp. Child safe, non-toxic, water based blue ink (washable). . Child safe, non-toxic, water based blue ink (washable).